Basic. Three ingredients. 10 minutes. It’s also nut, dairy, and gluten free. And organic, if you please. It started this weekend when the stomach bug meant solid foods were not an option. I had some chicken broth and a couple sweet potatoes on hand. I cut a small-medium sweet potato and baked it in the microwave on high for 8 minutes. Meanwhile, I poured about 1 cup chicken broth into my Ninja food processor and sprinkled in a healthy dose of ginger. I did not add salt because the broth was already providing 25% if my daily need. 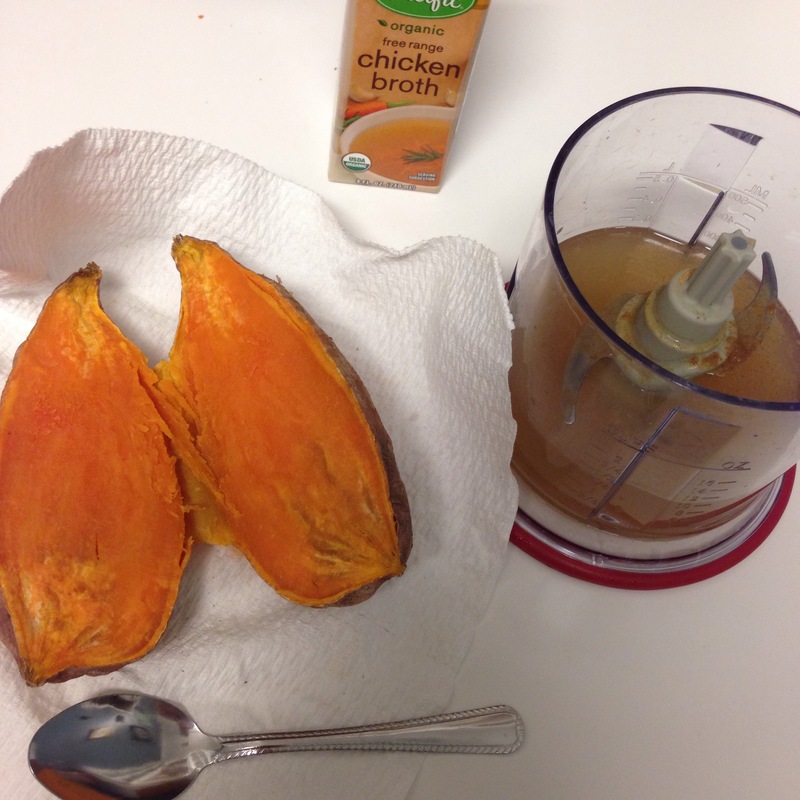 I scooped out the sweet potato and blended in my processor for about 25 seconds. And it was done. The soup is more like a bisque, depending on how much blending and the ratio of broth to sweet potato. When I got braver, I cooked a bigger potato and added chucks of potato after pureeing. Perfect fall warmth on a cold day. 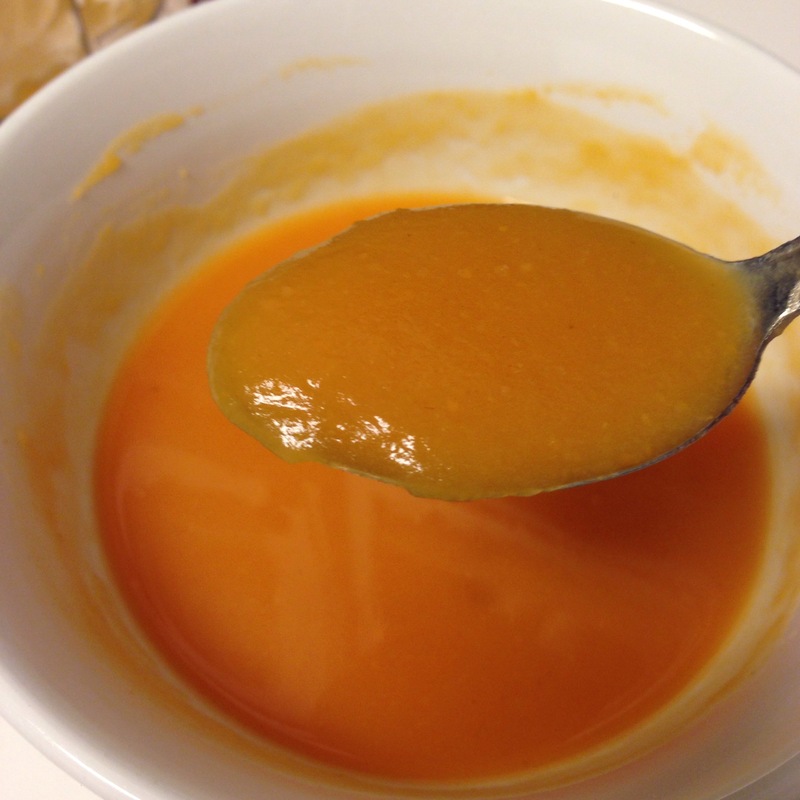 Posted on November 8, 2016 by Katie •	This entry was posted in Cooking Adventures, Home Living, Lactose-free Cooking and tagged dairy-free, gluten free, nut free, sick day, simple, soup, sweet potato, three ingredient. Bookmark the permalink.